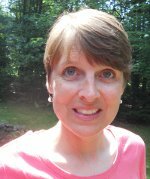 An interview I conducted with Cathy Potter, a K-5 school librarian in Falmouth, Maine. Cathy reviews apps for School Library Journal and serves on the Southern Maine Library District's Board of Directors. 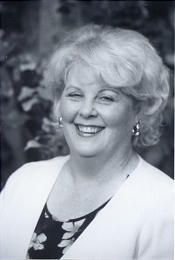 She served as a nonfiction picture book judge for the 2011 CYBILS awards and is currently a member of the Chickadee Award committee in Maine. 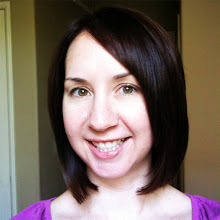 She is also co-founder and blogger for www.nonfictiondetectives.com (formerly nonfictiondetectives.blogspot.com), which is dedicated to reviewing quality, nonfiction books for children (ages 5-18). As a school librarian, what do you see as the biggest challenge to fostering a love for reading in the students? Cathy: Time. In the school setting, time is that one thing that we wish we had more of. We have a rigorous math curriculum, science and social studies content areas, but there isn�t a lot of time for sustained reading. I know teachers are always looking at their schedules for how they can eke out a little more time for reading aloud to the kids or letting them do silent reading or come to the library. I think the most valuable time of the day is when all of the kids are engaged with books. How do you try to address that lack of time or make the most out of what time you have? Cathy: I try to stay in touch and collaborate with the teachers that I work with. If they�re working on a social studies unit on immigration, there are books I can recommend that they or the students can read. Also, it�s important to continue that conversation with teachers about the importance of reading. I think in the last several years our teachers have really seen the importance of guarding that silent reading time. Why is it so important to have that silent reading time in a school setting? Cathy: During reading classes teachers often give direct instruction and provide guided reading time to help students learn to read, and as they get older they read to learn. But students also need time to practice those reading strategies they�re learning. They need to be able to read at a comfortable level those books that interest them. It is highly motivating for a child when they get to choose the books that they read. I think kids tend to read more when they�re given time and choice. And the more they read, the better they get at reading. That silent reading time is really the time they have to practice and to enjoy reading. During that silent reading time, the students also are able to look around to see what they�re classmates are reading. Then afterwards they often talk with their classmates about books. Sometimes the teachers will even set aside time after silent reading for the kids to share the books. How important is that social element of students talking with peers about the books they read? 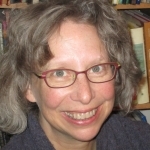 Cathy: One of the wonderful things about reading is that when you�re with a book it�s just you and the characters. When I�m done reading a book, I often want to talk to somebody about what I just read. I think students are the same way. It�s about being part of a reading community and I think that�s really important. You�ve done some unique things at your school to cultivate a strong reading community. Tell me a little about that. Cathy: I try to find different ways to bring the community together around reading. We�ve participated in World Read Aloud Days for the past couple years. We�ve Skyped with authors from all around the country. We�ve celebrated Poem in Your Pocket Day. We do a mock Newbery program that gives the kids an opportunity during the school day to meet with other students at lunchtime and find out what they�re reading and share their thoughts. It has led to some real rich discussions about the books eligible for the Newbery award. 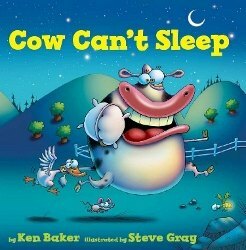 This winter I�m hoping to do a mock Caldecott. We�ve also been doing video booktalks. Tell me a little bit more about these video booktalks. Cathy: About two years ago, one of our third grade teachers and I showed her students TV clips from some old Reading Rainbow shows where kids share about books they read. From those examples, we had each of her students write booktalks about one of their favorite nonfiction books that they were reading in class. Then we videoed them sharing their booktalks. We put the booktalks up on the library website so when students came to the library they could click on one of the booktalk links to see book suggestions. This past year we have taken it a step further and let fourth and fifth graders use our iPads to make book trailers of their favorite books. They try to create trailers that are between 30 seconds and 2 minutes that will hook readers. You mentioned before about the importance of letting children choose their books. Tell me more about that. Cathy: When parents come to the library, email me or I interact with them at PTO meetings, my big message is that they really need to let their kids choose their own books. Everybody has different preferences. I have kids that love nonfiction. Some are avid fantasy fans. Others love historical fiction. Some are really into graphic novels. There is something for everybody in the library and if kids have a choice, they�re going to read even more. If they�re hooked on an author or a series, that�s great. 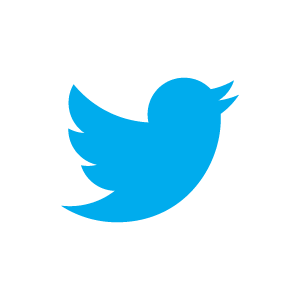 They�re reading. The more they read, the more successful they�ll be at reading and they�re going to love it. Choice is about getting them excited about reading. You and Louise Capizzo started a blog called the Nonfiction Detectives. Tell me a little bit about that. Cathy: As librarians, we were always looking for the best or newest nonfiction books, but most of the reviews or blogs out there focused on fiction. So, we decided to create our own blog with the purpose of providing reviews of nonfiction books to help librarians and teachers figure out which nonfiction books they should purchase for their libraries. What are some of things you look for in a nonfiction book that you recommend? Cathy: We really look at is the back matter, such as the list of sources that the author has used for research. That is really important. We also look at the author notes that sometimes explains how the authors did their research. For example, I�m currently working on a review for Puffling Patrol by Betsy and Ted Lewin, who actually traveled to Iceland to do their research. We look for accuracy, and to see what expertise the author has. We also look at the way the book is presented, if it�s written in narrative versus expository form. We look at the visual elements and how they support the text. We also look at how it will likely be used by patrons. Certain books will be browser books that will get kids really excited. 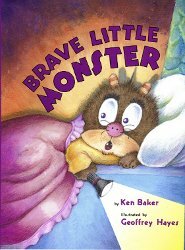 Some books a student probably wouldn�t check out, but a teacher or a librarian might want it as a read aloud. 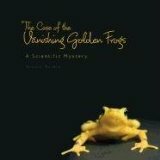 One of my favorite books last year was The Case of the Vanishing Golden Frogs: A Scientific Mystery by Sandra Markle. It was written like a mystery, but was about a how certain scientists were trying to discover why a golden frog was mysteriously dying. It has excellent photographs to go with the text. 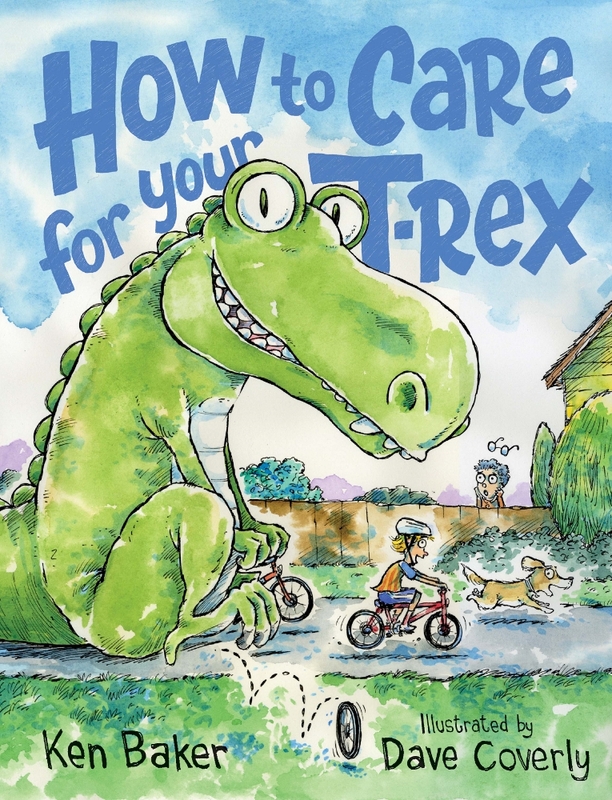 Students love this book as a pleasure read, but the teachers also use it in the classroom as an example of nonfiction writing and science. What are some other nonfiction books that you would recommend to students or teachers? Cathy: One book that I just wanted to read over and over again was Chuck Close: Face Book. We reviewed it this summer and I can�t wait to get this into the hands of my students. It�s an autobiography by an artist written in question and answer format. The kids are going to love it because in the middle it has 14 self-portraits of the book�s artists that is like a mix-and-match flip book for kids, which lets them interact with the book. It�s really well done. Another one that I really like that came out last year was The Watcher: Jane Goodall's Life with the Chimps by Jeanette Winter. The Watcher really looks at Goodall as a young child to present day and the impact she has made on the environment, and not just with chimpanzees but with deforestation .The artwork works so well with the text. And it it�s highly accessible from kindergarten right up to 6th grade. That�s one my students really enjoyed. Cathy: I love that every day is different. I never know what the day will bring. 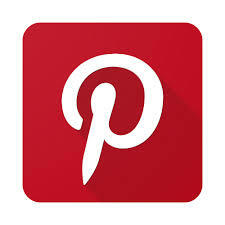 I might be helping students find information for a project they�re doing. I might be recommending books to a reluctant reader. I like being able to interact with everybody in the school, including kids, teachers, parents. I really love that. I love working with the kids over times, watching them blossom and evolve as readers. I love the relationships.